We are often reminded of how bad certain foods are for us. Sugary snacks and deep fried foods often top the lists of foods to avoid. Yet, television and internet advertisements for air fryers often laud their supposed health benefits. True or False: Can an Air Fryer Benefit Me? 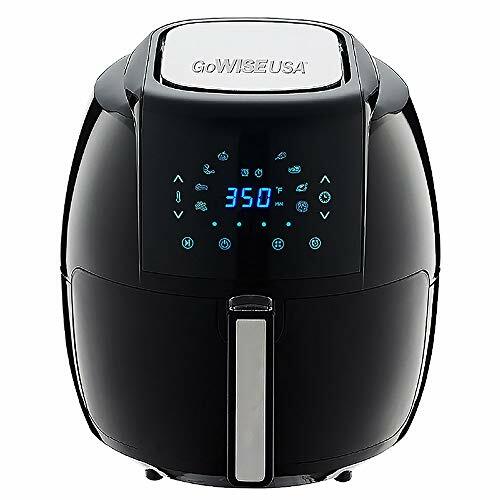 Can an Air Fryer Help with Weight Loss? How Does an Air Fryer Help? 4. Save Space - Oven Replacement. These benefits are attributed to the fact that air fryers use little to no oil in cooking, reducing calorie content and fat consumption. Others refer to reduced salt intake or increasing your daily servings of vegetables. Are these claims true? Can this little appliance change your life in dramatic ways? Can using an air fryer really improve your health? We’ll examine the facts so that you can make an informed decision for yourself and your family. Does air frying reduce calories when compared to traditional deep frying? How does air frying affect diabetics, or those with high blood pressure, high cholesterol, or heart disease? Can it make you healthier? In each of the following sections, we’ll answer your burning questions about how air frying relates to specific areas of your health. Calories and fat content in deep fried foods are among the chief nutritional concerns related to deep frying. Today, deep fried foods dominate the industry – French fries and fried chicken pieces, tenders, and patties are synonymous with fast food. Potato chips are ubiquitous, and fried convenience foods fill the frozen foods section of most grocery stores. Why, though, do deep fried foods get such a bad rap? One reason is that, depending on the type of food in question, fried foods absorb between 8 and 25 percent of their weight in oil. If the oil is not hot enough when the food is added, the food takes longer to cook and may absorb even more oil. So, let’s do the math. One serving of breaded chicken tenders weighs 3 ounces and has 180 calories. When deep fried, this same 3 ounces of chicken might absorb a tablespoon or more of vegetable oil, adding 120 calories or more to your meal. Would you like fries with that? One medium potato weighs about 6 ounces and contains around 110 calories. When fried, it may absorb 2 tablespoons or more of oil, bringing your small French fries to 350 calories. The grand total for your modest meal: 650 calories. That’s about one third of your daily recommended caloric intake, and you might still be hungry. By contrast, you could prepare the same chicken and fries in your air fryer with a light misting of olive oil – or no oil at all – for around 300 calories. That cuts calories for this meal by more than half. So, can using an air fryer help you lose weight? The numbers don’t lie. When you swap deep fried foods for the same or similar air fried foods, you will see a reduction in calories, which can aid you in losing weight. 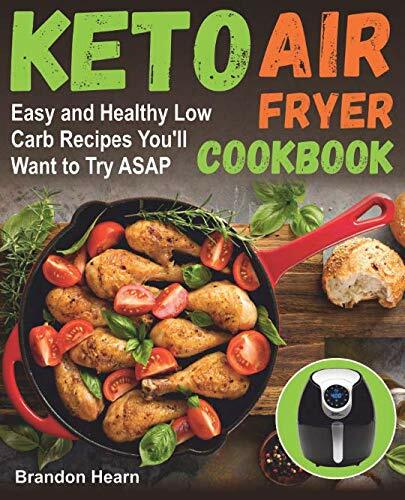 This, of course, comes with a caveat: in order for air frying to help you lose weight, you have to be consuming healthy foods such as fruits and vegetables, limiting your intake of “junk foods,” controlling your portion sizes, and getting plenty of exercise. Your air fryer won’t do all the work for you, but it can help you to replace fatty deep-fried snacks with healthier, diet-friendly alternatives. Hippocrates, an ancient Greek physician who is regarded as the father of modern medicine, once said, “Let food be thy medicine and medicine thy food.” In accord with this advice, dietary changes are suggested for the management of many medical conditions, and your air fryer can help. Eating Well and Diabetic Living magazines suggest avoiding foods that “contain high amounts of fat, sodium, carbs, and calories” when managing diabetes. Air frying your own meals at home can help you to do just that. When you prepare your own foods rather than eating ready-made convenience foods, you can control how much fat and salt are used. And, as we saw above, air frying can cut calories by more than half when compared to deep frying. If you’re dealing with diabetes, remember to limit your intake of carbs and sugars. Prepare protein-rich meats and vitamin-rich vegetables in your air fryer instead! According to NIH, high cholesterol is caused by a combination of lifestyle choices and genetic factors. High cholesterol can cause atherosclerosis, or the buildup of plaque in the blood vessels that may lead to heart attack or stroke. You can’t control your genetics, but you can control your diet. A dietary contributor is consuming large amounts of trans fats and saturated fats. Replacing deep fried foods with air fried alternatives can reduce your fat intake. High blood pressure can increase your risk of heart attack or stroke. The Mayoclinic suggests managing high blood pressure by losing weight, eating a balanced diet, and cutting back on the salt. Your air fryer can help you to cut calories and eat more fruits and vegetables. Avoid pre-packaged processed foods; start with fresh meats and vegetables, which you can prepare quickly and easily in your air fryer. Instead of salting your food, opt for herbs and other seasonings such as vinegar, lemon juice, or lime juice. Mayoclinic encourages following a heart-healthy diet to both prevent and manage heart disease. This includes eating more fruits and vegetables, limiting unhealthy fats, and reducing sodium intake. Can an air fryer help you do this? Yes, it can. Rather than French fries or potato chips, use your air fryer to make crispy green beans, kale chips, or sweet potato chips. This will help you increase your daily diet of vegetables. Air frying will reduce the amount of oil needed to cook your favorite foods, and you can also choose heart-healthy oils, such as olive, avocado, or nut oils. Finally, you can control how much salt goes into your recipes. This will almost certainly be less that the salt used in convenience foods. Do you have a picky eater in your family? You know, the little tyke who won’t eat anything but chicken nuggets or hot dogs, or the grown-up who still won’t touch anything green. Are you the pickiest eater in your family? Never fear, because the trusty air fryer is here to help. There are hundreds of kid-friendly recipes that turn the terrible into tasty. Did you know, for instance, that you can “fry” almost any vegetable – broccoli, cauliflower, green beans, zucchini, and more. Kids and grown-ups alike won’t be able to resist these crunchy treats. According to Eat This, Not That, there’s a scientific reason why kids (and some adults) may be repelled by certain vegetables – bitterness. Bitterness in wild plants can signal toxicity, and we may be instinctively programed to avoid this flavor. We get used to bitter greens such as spinach, broccoli, or Brussels sprouts as we age, but the flavor may be especially apparent to little tongues. The Eat This test kitchen recommends using 1 tablespoon of butter per half cup of vegetables. In addition to tempering the bitter flavor, the added fat helps the body absorb essential vitamins from the vegetables. Remember, “fried” vegetables aren’t the only options when using an air fryer. You can make fun kabobs, a spicy saute, or even sneak some avocado, sweet potatoes, or zucchini into your favorite baked dessert! Many health-conscious consumers are concerned about the additives, preservatives, and other chemicals present in pre-packaged food. You can use your air fryer to quickly and easily prepare homemade alternatives to these snacks. For example, you can make homemade egg rolls, taquitos, pizza bites, and more using your air fryer. You’ll achieve the same great taste, without the preservatives. As we have seen, air fryers can help you manage your weight, your medical conditions, and your picky eaters. Air fried foods generally have fewer calories, less salt, and a great taste when compared to other cooking methods. Remember, though, that the air fryer itself is not a “magic bullet” or “miracle pill” when it comes to your health. Chocolate cake, for example, is still sweet and high in calories, even if prepared in an air fryer. Remember to enjoy sugary, salty, and high-calorie treats in moderation. You might even use the time saved by using your air fryer to go for a relaxing walk or engage in some other athletic activity. This, too, will contribute to your overall health. Losing weight is a challenging journey, but it’s worth the effort. You may feel like you’re stuck eating celery sticks and fat free foods and wonder if you’ll ever be able to eat something that tastes good again. Are there ways to enjoy the foods you love and still stick with your diet? Maybe you’ve heard of an air fryer and are curious to know more about this revolutionary kitchen appliance. Can it help you on your dieting and weight loss journey? 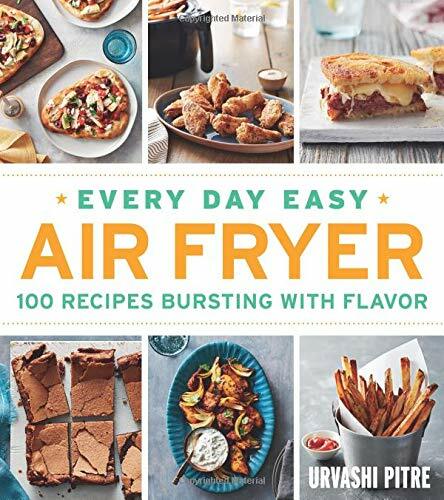 What are some low-calorie air fryer meals? What kinds of healthy items can the air fryer cook? Is it possible to enjoy fried foods without all the fat and calories? As someone who works hard to lose weight and cook healthy foods, I wondered the same things myself. Here’s what I discovered about air fryers and weight loss. Hopefully, the answers to these questions can help you on your dieting and weight loss journey. One of the struggles of dieting is being restricted to certain foods, particularly if those foods don’t taste very good. Completely eliminating carbs, sweets, fried foods, or other tasty items is difficult and often leaves you craving the things you’re trying to avoid. This makes people more prone to “cheating” on their diet and overindulging in unhealthy foods. Enter the air fryer. This kitchen appliance gives you the opportunity to enjoy some of your favorite foods, but in a healthier way. Items like potato chips and French fries cook to crisp, satisfying perfection in an air fryer with little or no oil and added fat. Changing the way you cook foods helps you stick with your diet and weight loss plan without sacrificing the flavor of good food. Air fryers are a quick and easy way to cook food at home, where you control exactly what you’re eating. They cook a variety of foods in a healthy way with little or no oil. This makes them a wonderful choice for people who are working on losing weight or want to eat healthy meals. For this reason, many slimming clubs recommend cooking with an air fryer. Egg and veggie frittata without crust – Season with a little salt and pepper and cook in mini pie pans for a high protein breakfast. Burgers – After turning the patties, add a slice of cheese for the rest of the cooking time for a cheeseburger; the cheese will melt onto the patty as it finishes cooking. Honey ginger salmon – Marinate salmon in soy sauce, orange juice, honey, minced garlic, minced ginger, and scallions. Bake at 400 degrees for 9 minutes. Chicken Parmesan – So flavorful you don’t even miss the breading. Chicken tenders – Dip in egg, then lightly bread with Panko crumbs. Spritz with olive oil and bake for 30 minutes at 400 degrees. Fried shrimp – Lightly bread, then cook to crisp perfection and serve with cocktail sauce. Pork chops – Marinate in fat free Italian salad dressing for 2-3 hours, then bake for 15 minutes. Lemon pepper chicken – Season chicken, then lightly spritz it with olive oil to keep it tender. As you can see, there are many healthy options when it comes to cooking with an air fryer. A favorite healthy side dish is roasted vegetables. Simply toss pieces of vegetable with a little olive oil, season according to taste, and cook at 400 degrees for 8-15 minutes. Broccoli, asparagus, cauliflower, and other vegetables turn out crispy and delicious when cooked this way. Fruit or vegetable chips are another favorite. Thinly slice bananas, carrots, apples, radishes, zucchini, or other fruits and vegetables and place in a single layer on the air fryer trays. Lightly season with salt if desired and bake until crunchy. Many favorite foods are fried and full of fat, making them off-limits according to most diet plans. 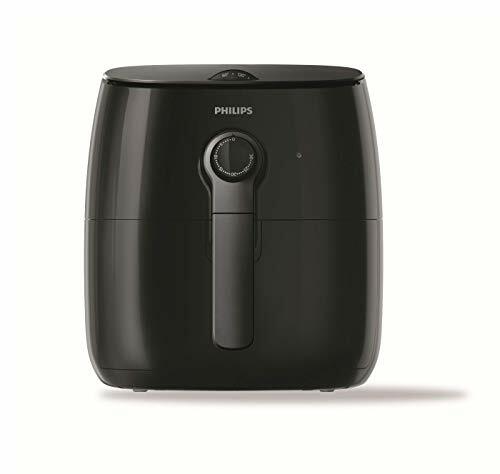 However, with an air fryer, you can indulge in crispy fried foods without the guilt. French fries, potato chips, fried chicken, and more are much healthier when cooked in an air fryer. Enjoy the foods you love without ruining your diet by changing the way you cook them. Air fryers use about 80 percent less oil than traditional deep fat frying. For some fried foods, you can even leave the oil off entirely. Little or no oil means that air fried foods have far fewer calories and less fat than their traditional counterparts. Experiment with your favorite foods to see what tastes best to you. It’s easy to cook a variety of low-calorie meals and other healthy items in an air fryer. Even fried foods aren’t off limits thanks to this revolutionary cooking method. What are your favorite things to cook in an air fryer? Share recipes or post any questions you have in the comments. Don’t deprive yourself of all your favorite foods in an effort to stick with a limited diet. Enjoy healthy foods that taste great by changing the way you cook them. Give your diet and weight loss journey a boost by experimenting with low-calorie recipes in an air fryer. 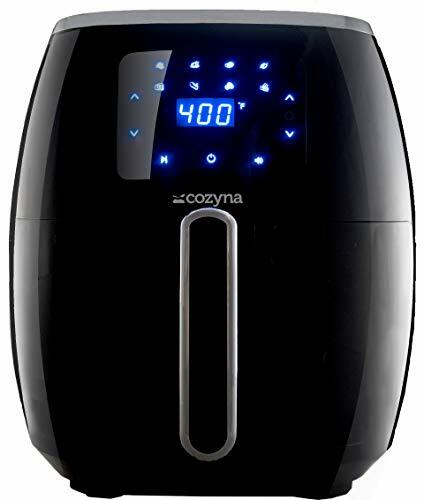 Air fryer superheated air and convection technology to cook food more quickly than comparable conventional methods. This small appliance is also able to preheat more quickly than a conventional oven, saving you even more time. Air fryers are designed to be very simple to use. Even a child could do it – with proper adult supervision, of course. Most air fryers have only two settings – cook time and temperature. These may be regulated using knobs or a digital display, depending on the model. Some have presets for specific for types, allowing you to prepare your food with the touch of a button. Air fryers typically use one tablespoon of oil or less – sometimes none at all. This effectively reduces fat content by seventy-five percent or more when compared to traditional deep frying. You can also prepare an array of healthy, kid-friendly dishes, such as crispy “fried” vegetables, helping everyone in the family to maintain a healthy diet. 4. Save Space – Oven Replacement. An air fryer can do everything that a traditional oven can do – it can bake, roast, steam roast, grill, and broil. Larger models can even be used to bake whole small chickens. If you’re short on space – such as in a college dorm room or efficiency apartment – or if you are looking for an economical oven replacement, air fryers are for you. No more difficult scrubbing of burnt-on food from the oven, or dealing with messy and dangerous grease from a deep fryer! The basket, drawer, and accessories of the air fryer are coated with non-stick surfaces and are dishwasher safe. We hope this guide has helped you to make an informed decision. Overall, the Philips air fryers are outstanding in performance. 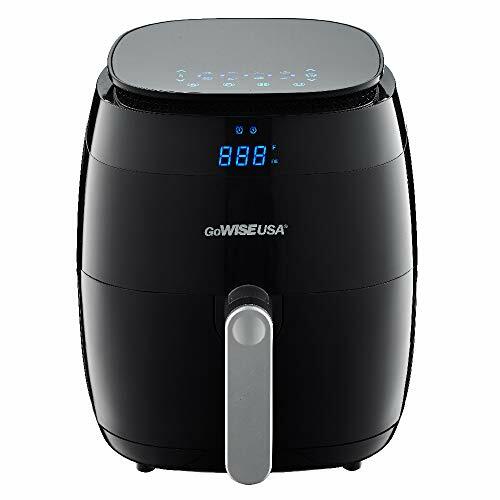 If you’re feeding a family on a budget, the GoWise USA 8 in 1 air fryer is an excellent option. For small families or individuals, the space-saving Secura air fryer is an ideal choice. Using your air fryer on a regular basis can benefit your health. When you exchange deep fried foods for air fried alternatives, you reduce your intake of calories, fats, and salt. Along with a wholesome amount of exercise, cooking at home with the aid of your air fryer can help you to make healthy choices. Even the pickiest of eaters can enjoy a variety of air fried fruits and vegetables. Do you need a little dietary inspiration? 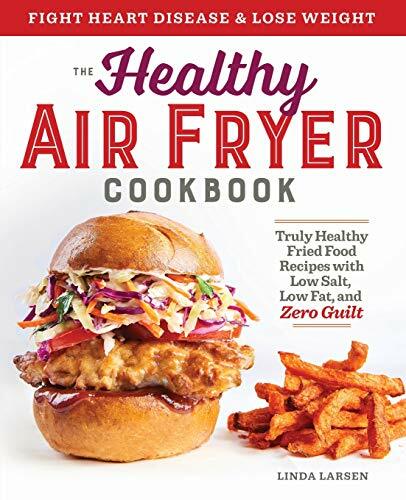 Check out our selection of fun and healthy air fryer recipes.